While a politician may wish something to be true, simply saying it in the House of Commons does not make it so. Bill Blair, the newly minted minister for border security, made a claim about the refugee system in question period Thursday that cannot be supported by the available facts. “The system is working,” he said. Technically, Blair is correct. The refugee system is working — in much the same way the Russian military’s Antonov Flying Tank worked during the Second World War. In that case, the plane could leave the ground and drop a tank by parachute, albeit without crew, fuel or armaments. It worked. It just didn’t work well — and the project was rapidly abandoned. The federal government should adopt a similar approach and go back to the drawing board. The PBO report is revealing, and not just for the cost estimates. 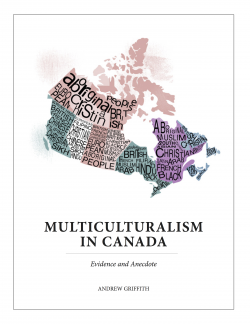 In fact, it emerges in a footnote the costs are likely more than $14,321 per migrant — Immigration, Refugees and Citizenship Canada estimates the number at $19,000. But during its investigation, the PBO team elicited some interesting responses from government departments that show how bizarre the migrant story has become. Another footnote revealed that Canada Border Services Agency officers have identified a phenomenon where one claimant enters Canada illegally and acts as an “anchor relative” for other family members. Those family members can then enter at a port of entry and not be considered illegal migrants. (The PBO asked for data but CBSA said it is not currently being tracked). Once a claim has been made, the migrant can access Canada’s generous welfare system as he or she navigates the asylum claims process that gives them multiple hearings and appeals. In the meantime, they can effectively sponsor other members of their family, who can then arrive as regular migrants — also avoiding the Safe Third Country Agreement. Blair tried to sanitize this blatant abuse of process by pointing out that 40 per cent of migrants crossing illegally are children — postulating that this is a question of humanity and human rights obligations. But due process should work both ways, and in this case the integrity of the system is being violated. The anchor relative provision does not just apply to nuclear families but to parents, grandparents, siblings, aunts, uncles, nephews and nieces. The obvious solution is to close both loopholes in the Safe Third Country Agreement — amend it so it applies between official points of entry, and more tightly define who migrants can bring in. But there appears to have been little progress in persuading the U.S. to change an agreement that sees people it clearly does not want within its borders effectively deporting themselves. There are other reforms that could be undertaken. Experts who have looked at the system talk about the “failure of finality” — the endless appeals process that effectively gives migrants a new hearing at the Refugee Appeal Division if their claim is rejected by the Refugee Protection Division, and still another one at the Federal Court if the appeal fails. In the 2017-18 fiscal year, the Immigration and Refugee Board had capacity to hear 24,000 claims. During that period there were 52,142 new asylum claims, of which illegal migrants represented 23,215. The system was flooded with claims beyond its capacity, creating a backlog of 64,929 cases. More than half of the refugee claims were made by irregular migrants from Nigeria and Haiti. That is not a dog-whistle for swivel-eyed racists, or “fear-mongering,” as one senior Liberal put it. It is a fact. They are flooding from those countries because word has got out that the Canadian system can be gamed with great ease — that an entire family can set up in the Great White North for the cost of a plane ticket from Lagos to New York City and a bus ride to the Quebec border. Canada has seen similar surges in refugee claims before. In 2010, the Conservatives introduced visa requirements for Mexicans and Czechs, after a flood of bogus claims. The intake of refugees fell from 25,783 in 2010 to 10,227 in 2013 and the backlog halved. For the 2017 calendar year, claims were at 47,427 and the backlog was of a similar magnitude. If the system was working, as Blair claimed, it would be fast, fair and final. Currently, it is the very opposite — sluggish, arbitrary and inconclusive. The problem of people crossing the Canada-U.S. border illegally and then seeking asylum just became a bigger headache for the Liberals, one they emphatically do not need less than a year before the next election. The situation at the border appeared to be improving. In 2017, more than 20,000 asylum-seekers crossed illegally into Canada from the United States. In the early months of 2018, the flow was actually increasing, compared with the year before. But then the numbers started to taper off – at least on a year-over-year basis. Ottawa seemed to have things under control. “There is a challenge, but it is not a crisis,” Public Safety Minister Ralph Goodale insisted in July. But if the numbers aren’t increasing, the cost sure is. In a report released Thursday, the Parliamentary Budget Officer estimated that handling the claims of asylum-seekers cost the federal government more than $14,000 a case in the last fiscal year, will cost almost $15,500 this year and will cost $16,700 next year. By that time, taxpayers will be doling out $400-million a year to handle these claims and to provide the migrants with health care. As the Tories quickly pointed out, the accumulated costs will be more than $1-billion by the end of the next fiscal year. These sums don’t include the cost of sheltering, feeding, clothing, educating and otherwise caring for the needs of these asylum-claimants, which are largely borne by provincial and municipal governments, and which has set the Ontario government back an estimated $200-million. It gets worse. Asylum-claimants who cross the border illegally are overwhelming the tribunals established to hear refugee claims, creating a current backlog of 65,000 cases. It will take about three years to handle the claim of someone arriving this year. Next year, the backlog could stretch to four years. Each individual claim is unique. Each person seeking asylum in Canada has a story to tell, and that story can be heartbreaking. But, on its face, most of the people crossing into Canada illegally from the United States appear to have a weak case. Last year, many of the migrants were Haitian citizens who feared being forced to return to Haiti by the Trump administration. To be blunt, that’s not Canada’s problem. This year, many of the claimants were Nigerians who obtained a visa to enter the United States and then headed straight for the border. These appear to be economic migrants, whose claims for protection as refugees should not be accepted. What will happen next year? Will a fresh crop arrive at our border seeking asylum – Latinos who fear deportation from the United States, or nationals from Caribbean or African countries seeking a chance for a better life? Will the ever-lengthening wait times for hearings, which allow asylum-seekers to stay in Canada, convince more and more migrants that they have nothing to lose and everything to gain – including free health care – by crossing the border illegally? Or will the numbers drop down below 2017 levels? No one knows. What we do know is that the problem of people crossing the border illegally corrodes confidence in Canada’s immigration and refugee system. This country’s future well-being depends on a robust intake of immigrants to compensate for a low natural birth rate. If people conclude that bogus refugee claimants are gaming the system, they could lose confidence in the entire program, which would be a disaster for Canada. None of this is lost on the Conservatives, who will accuse the Liberals of failing to secure the border – which is, it must be said, one of the core responsibilities of any sovereign government. Of course, the Tories have no good explanation for how they would handle things if they were in charge. But that may not matter. The opposition mantra will be: The Liberals can’t get a pipeline built. They can’t balance their budget. They can’t even secure the border. Not a pleasant narrative for a governing party to confront in an election year.